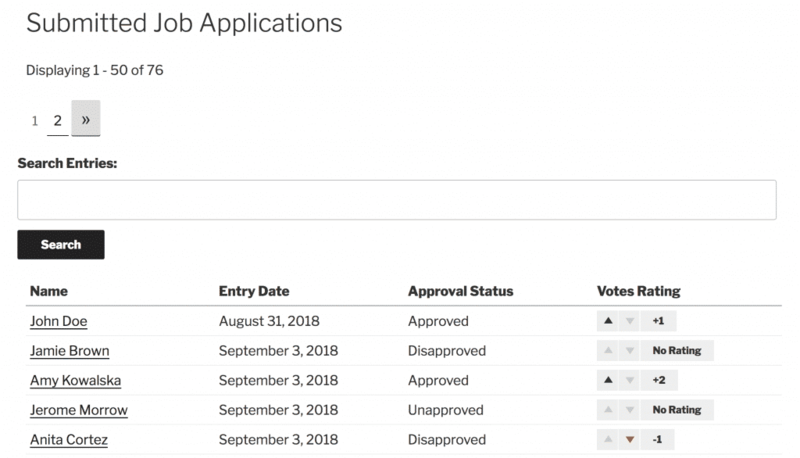 One of the most common (and powerful) uses of Gravity Forms and GravityView is as a job applicant management system. 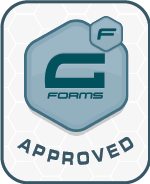 With Gravity Forms, you can easily create a system that allows job seekers to submit an application for the job. Then, with GravityView, you can let decision makers review, reject, and comment on these applications directly on a (private) web page, without having to log into the back end of your WordPress website. In Gravity Forms, create your form and give it a name. 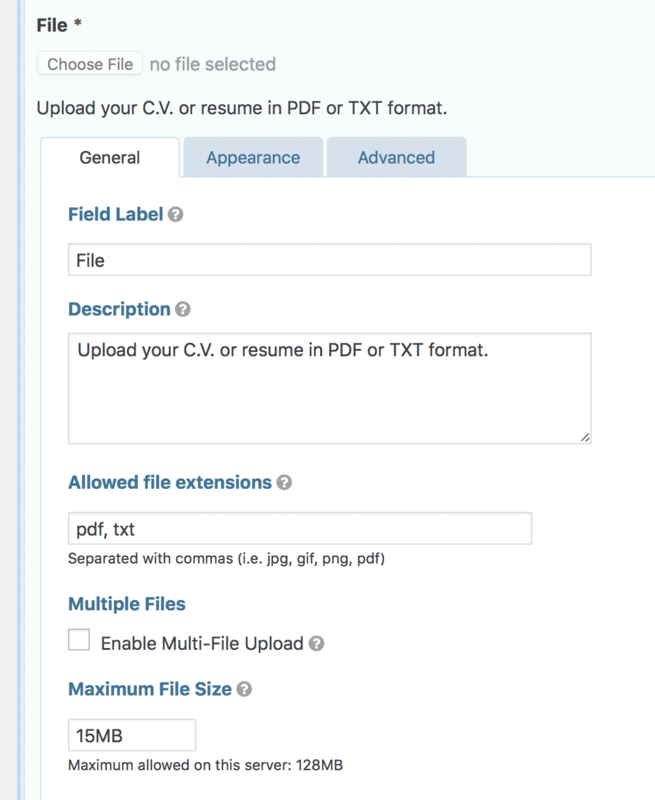 Add the fields relevant to your job position. Tip: you can customize the File Upload field. We recommend renaming it “Resume”, limiting the file size to less than 15 MB, and limiting file extensions to PDF or Txt. What countries are you authorized to work in? 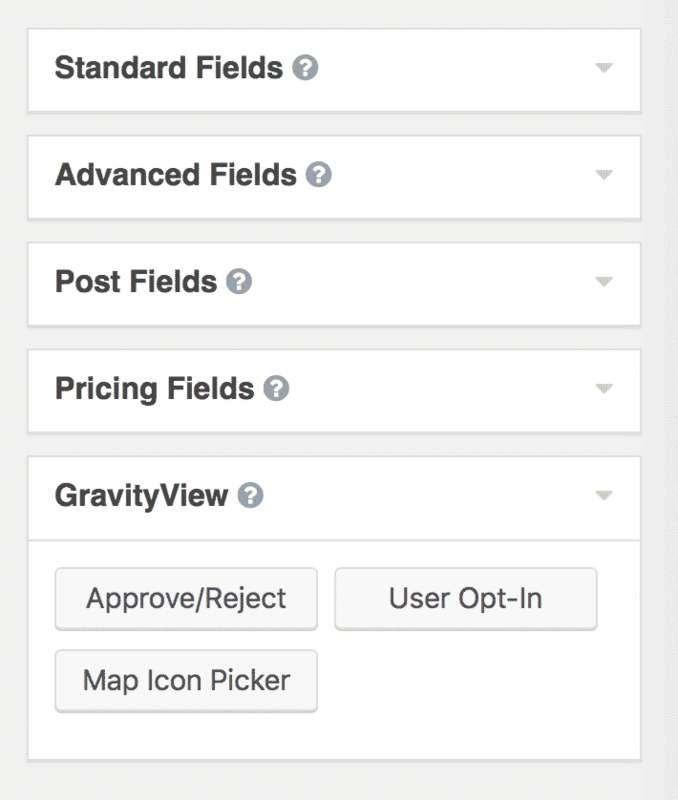 Finally, we want to add a special GravityView field: Approve/Reject. This will add a field to the entry that allows the employer to approve or reject submitted entries. This is useful if you receive a large number of applications that are incomplete, didn’t follow the directions, or otherwise are invalid. 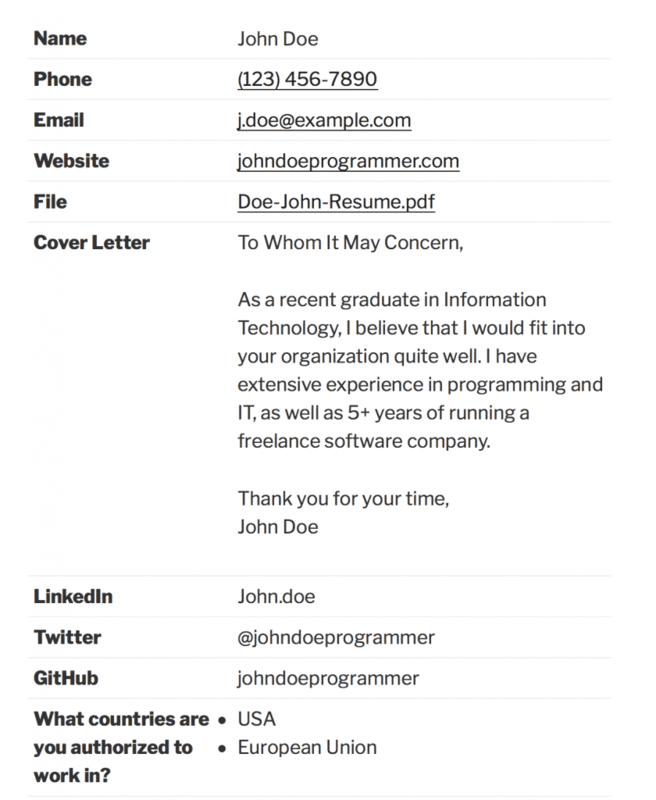 Tip: Add a “reading test” field to make sure that applicants follow instructions and read your entire job ad. This is a common practice among employers. Simply add a note in your job ad saying “The code word is ‘spaceship’ and then add field that asks “What’s the code word?” to your form. If the applicant didn’t write the correct answer, you can be sure they didn’t read your ad! 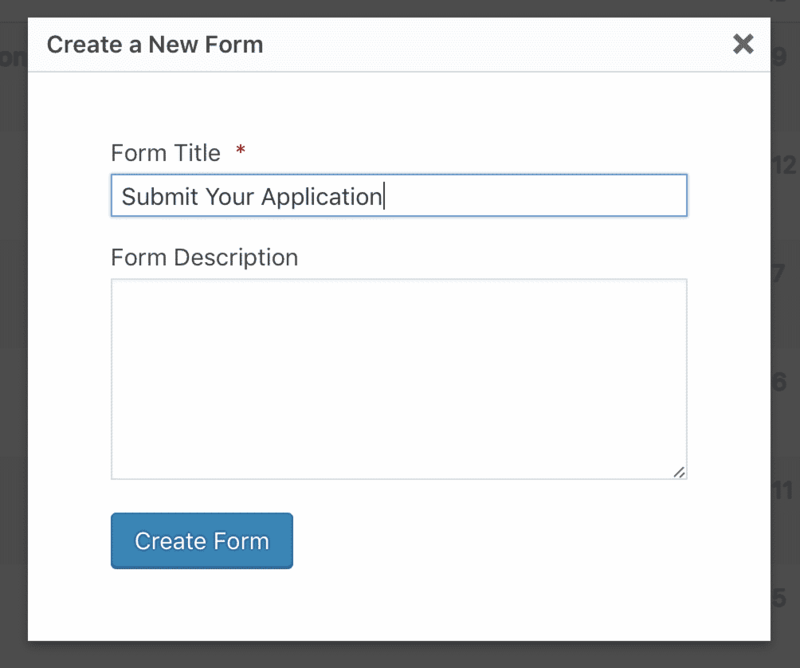 Once your form is finished, create a new WordPress page and add your form. Preview it to make sure everything looks good! If it does, we can move on to the next step. Now that we’ve got a form, it’s time to create a View. A View will allow you to view all of the submitted entries on the front end of your website. This is useful in a lot of ways! We’ll want to select the form we created in Step 1. 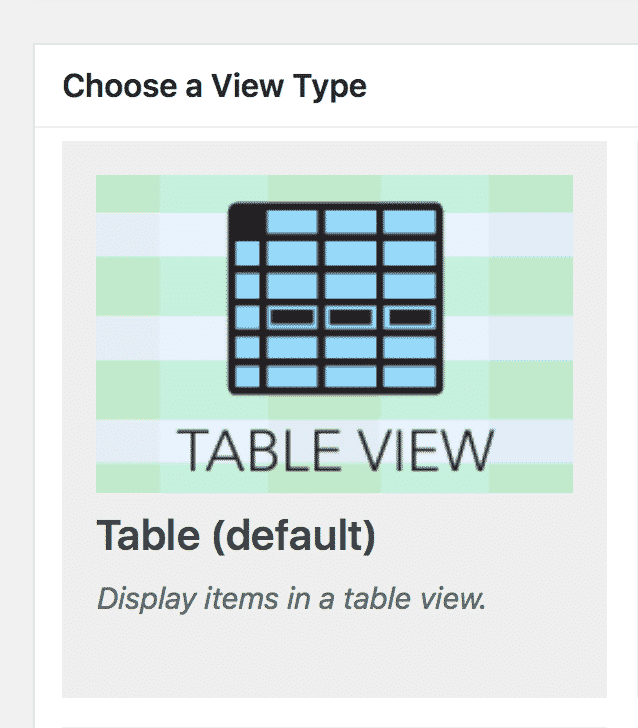 Then, we need to pick a View type. For our purposes, the Table View makes the most sense. Now we’re on the View Configuration page. 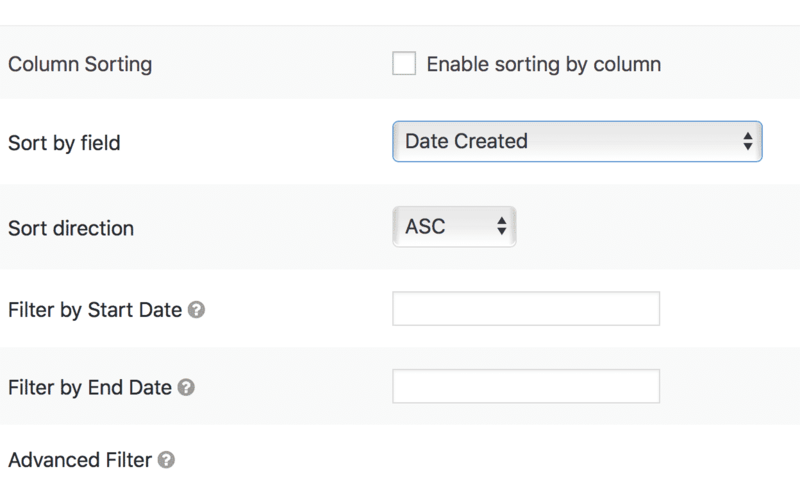 Let’s customize the Multiple Entries configuration first. This is the “default” page which will display all (or a large number) of the submitted entries at one time. At the top, we’ll add a few useful widgets. To do this, click +Add Widget. Then, under Entries Fields, we’ll start by adding the Name field. Click on the field settings icon (the gear icon next to the field) and enable Link to single entry. 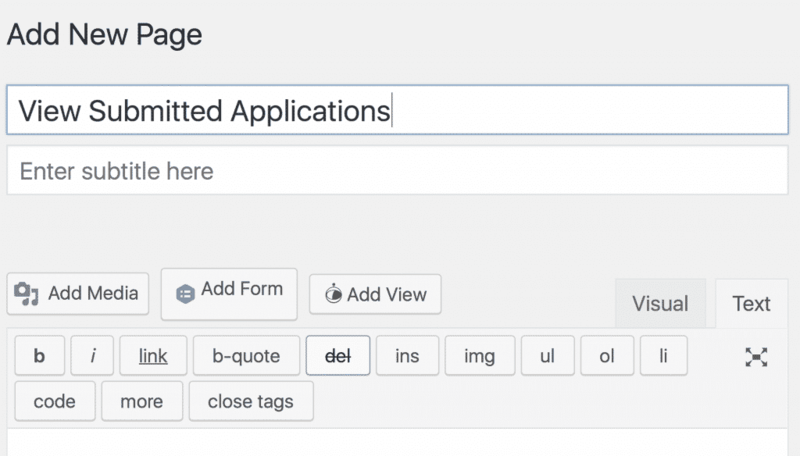 This will link the applicant’s name field on the Multiple Entries context to their specific application page (the Single Entry context). 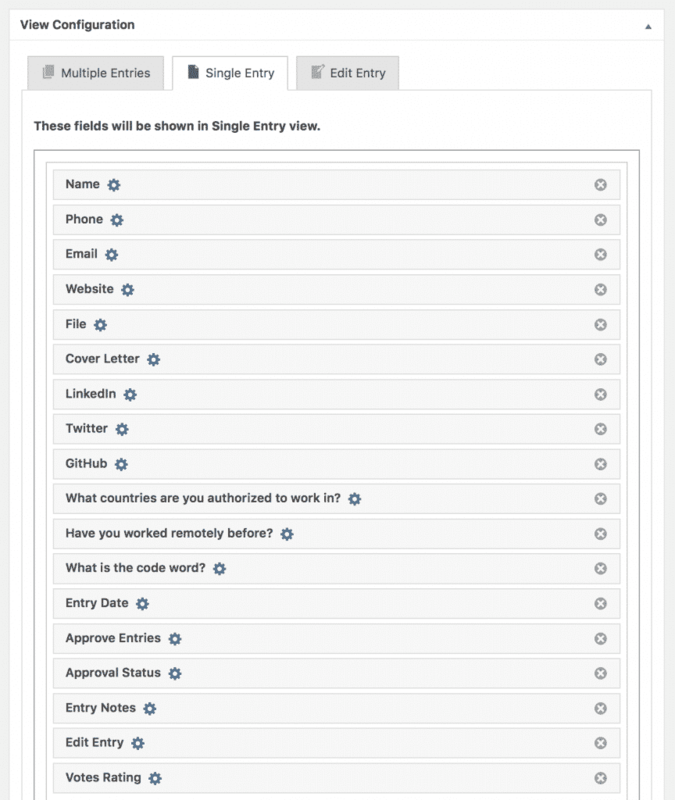 We can add many other fields to the Multiple Entries page, depending on what we want to build. We’ll save most of the applicant’s detailed fields for the Single Entry page. The goal of the Multiple Entries page is to provide a high-level overview of all the applicants. Next, let’s add the Approval Status of the entry. This will display whether the entry has been approved or not. We’ll add a way to approve/reject an entry on its Single Entry page. 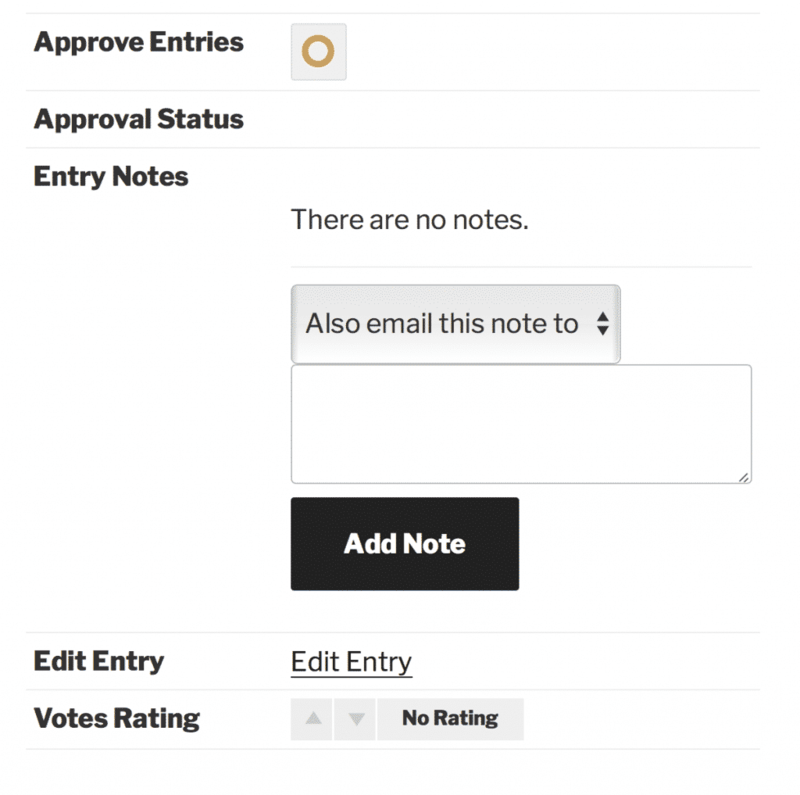 Finally, let’s add a Votes Rating field. This will display an aggregate up/down rating of the applicant. This functionality is useful if you want your decision makers to up vote or down vote candidates. Let’s scroll down to the bottom of the page and customize some settings. 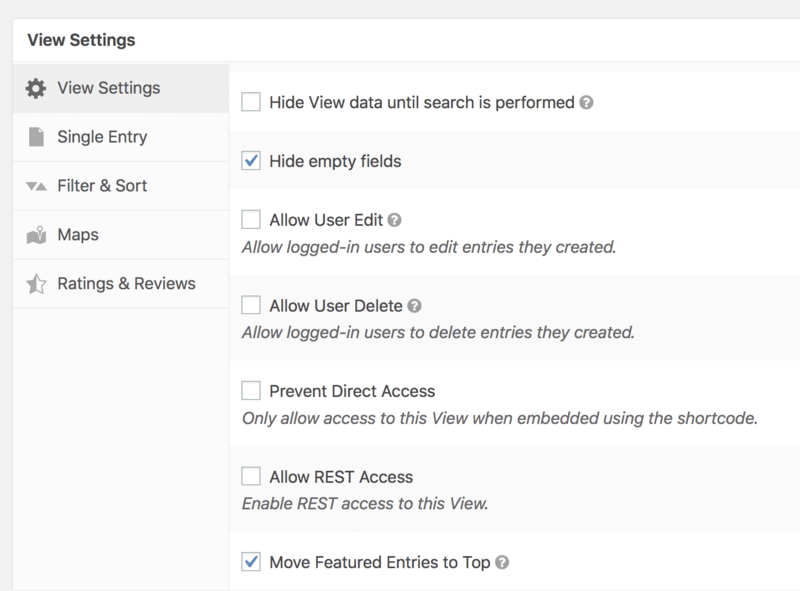 Under View Settings, we can enable Move Featured Entries to Top, which will move “starred” entries to the top. 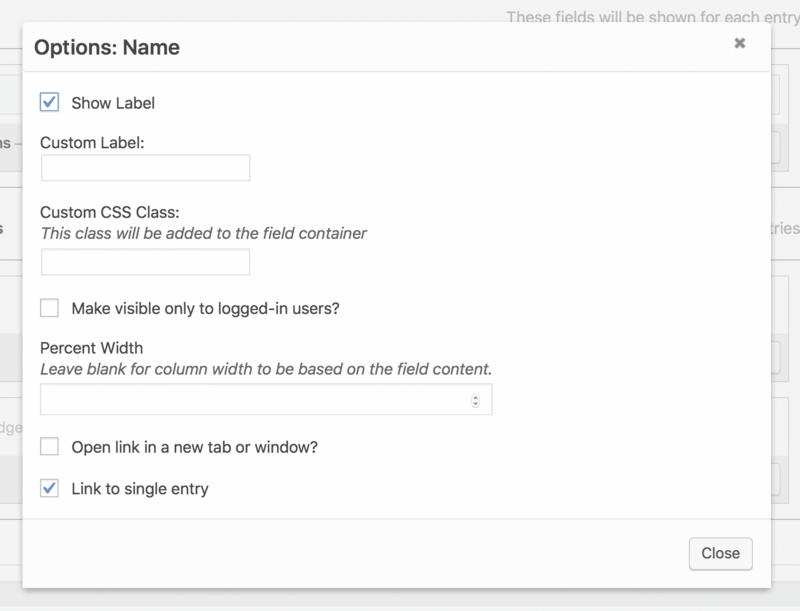 You can star an entry from the WordPress backend GravityView page. Read more about Featured Entries here. Finally, under Ratings and Reviews, we want to check Enable entry review. We can choose between a 5-Star rating or an up/down rating. For our example, we’ll use the up/down option. Now, let’s customize the Single Entry page by clicking on the tab. This is the “details” page, where we’ll include all of the submitted application details. 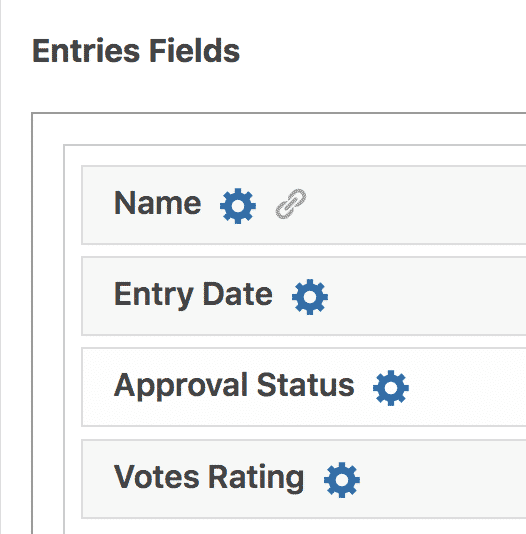 Click “Add Field” and add the fields from our form. 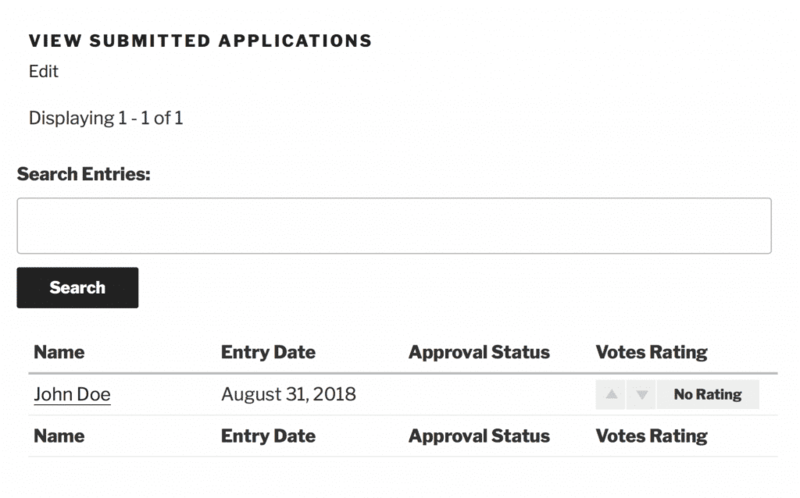 We can also add the Entry Date field to display when the application was submitted. Now, let’s add some special fields. This field will allow you to leave comments and notes on the entry. You can easily note important information about the applicant. Finally, this field will link to the Edit Entry page, which lets you modify the submitted data. This probably isn’t extremely useful for a job management system, but you might need it! Finally, let’s add the Votes Rating widget. This will display the total ratings + reviews on the entry. Now that we have created a form and View, we’ll want to add them to (separate) pages. To do this, create a WordPress page and then press the Add Form or Add View button, which is just below the Page title. You can then customize the options for your embedded Form/View. Now that everything is up and running, let’s take it for a spin! Let’s submit a mock applicant and see how it looks. Go to your page with the embedded form and fill it out with sample data. And we can rate the applicant up or down by filling out a review. 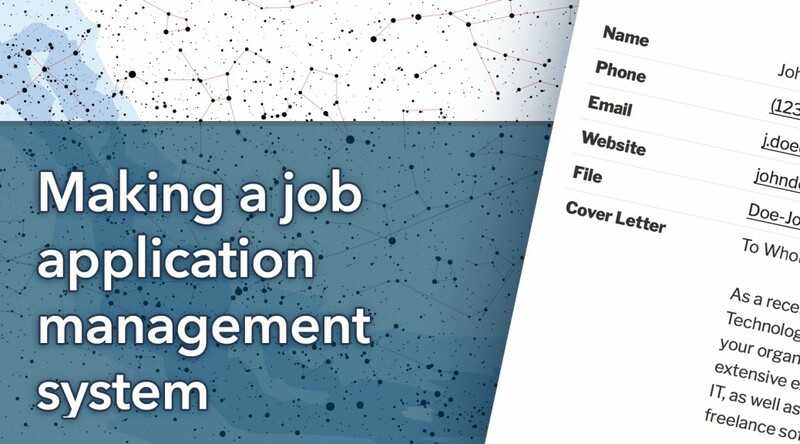 That about covers the process of setting up a basic job application management system! With GravityView, the possibilities are nearly endless – no matter what functionality you need to have, we’ve got you covered.